In this quick guide we will learn how to connect to your amazon aws ec2 ubuntu server using a FTP client like Filezilla. 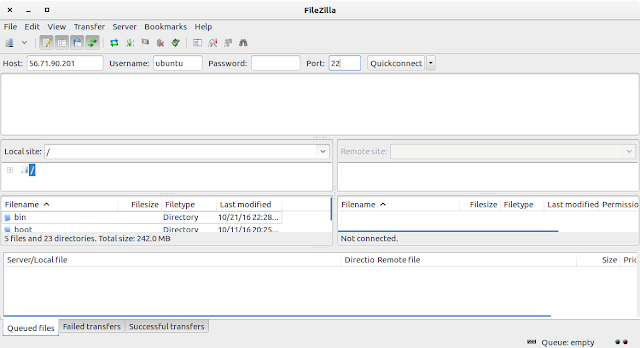 2. open up filezilla and navigate to Edit->Settings menu and select SFTP option there. Click on the Add key File... button, then select your .pem key file. 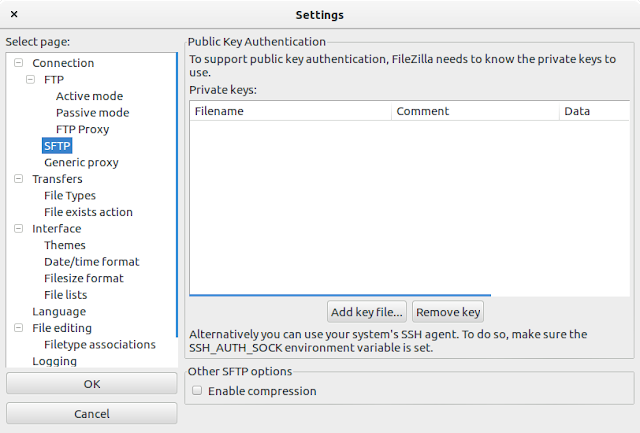 It will ask to convert it to .ppk, do so.. then click on OK.
3. Now, on the main window, enter the following information. Now wait a few seconds... Done!